Social media is an ever-evolving beast. It started out simple—a new way for friends to connect with each other, to chat, share pictures and keep in touch. In the past few years, it has been built up to an empire of Roman proportions. Facebook, Twitter, Instagram, Vine, Snapchat, Pinterest; they are a brand new continent with their own unique vernacular, customs, and culture. Smart marketers have seen the breadth of opportunity unfolding through these new avenues and have taken their campaigns to the digital stage. Social media marketing has been subject to a variety of changes as various companies and advertisers morphed and molded it into a fully functional, highly successful branch of marketing. 2015 has been no different. This year has seen the age demographic of Facebook users climb. A site that was originally intended to be used exclusively by millennials has seen its user base expand to include parents, aunts, uncles, and even grandparents flocking to its user-friendly fields of digital social exchanges. Over the next half of the year and into 2016, researchers predict a 7.6% share increase among users 65 and older. The shares of younger users, specifically in the 18-25 year old range, is expected to continue to decrease in the same time. The loss of millennials on Facebook does not mean ads won’t reach them. Younger people dominate platforms such as Instagram and Tumblr, have a monopoly on Snapchat and Vine, and are definitely tuned in to Twitter. The increase of mobile app usage is also keeping audiences engaged. Users can see ads the moments they pop up and browse company social accounts on the go. Some social media sites, such as Instagram and Snapchat, are exclusively mobile and offer a unique way to connect with potential customers and clients anytime, anywhere. 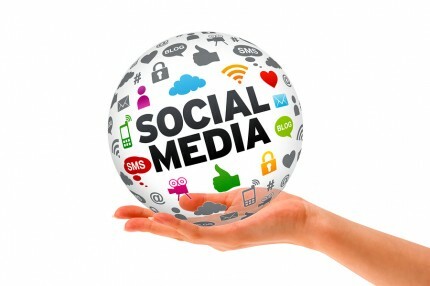 Over the past year, social networks have even become search engines. Users are going directly to Facebook, YouTube, and Pinterest for advice, product reviews, and information. Companies who are utilizing these tools can connect directly with people curious about their products and services.